Chinese medicine is capable of effectively treating a wide range of health concerns. Its’ outstanding efficacy can be attributed to the methodology in which health concerns are approached. When a patient presents with a specific health complaint, they are diagnosed within the Chinese medical model and the syndrome is then differentiated accordingly. 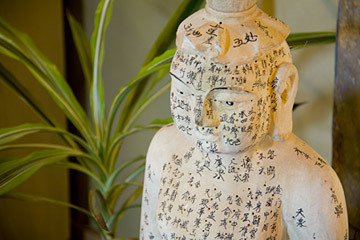 That means that Chinese medicine does not rely on western diagnoses to guide treatment plans. Chinese medicine works on resolving the deeper disease processes responsible for the presenting symptoms and/or western diagnoses. We subsequently find that “same disease, different treatment; different disease, same treatment”, meaning that five people might have the same health concern, yet there are five different Chinese diagnoses, and five different treatment plans.